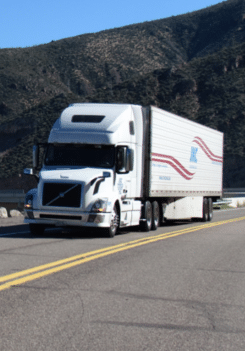 JKC Trucking - JKC Trucking Inc.
We offer cost effective capacity that can move your goods to market whether across town or across the country with the service you need to meet your commitments. Our focus on carrier development helps us deliver the capacity and service you need at the best value. Logistics is not merely shipping & receiving, its end-to-end supply-chain management. At Summit Cold Storage & JKC Trucking, we believe that going the extra mile to make sure the entire supply-chain works to your advantage will provide a long-term, healthy relationship. JKC Trucking offers a wide range of temperature controlled and dry freight contract carrier services. Shipping freight by rail minimizes the effect on the environment, takes traffic off congested highway systems, and minimizes fuel consumption and transportation costs. 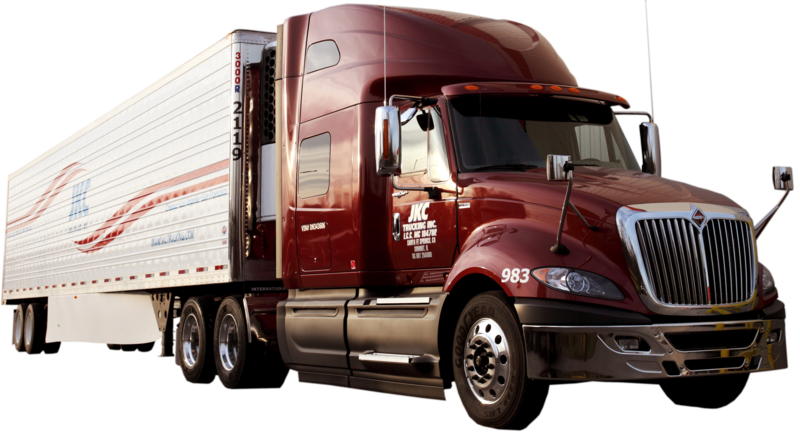 JKC Trucking specializes in moving temperature sensitive freight such as fresh produce, meat, dairy products, and more! Approved Wal-Mart / Sysco Food Service / US Food Service and Walgreens Carrier, StarTrak & Par Trailer Tracking: A comprehensive, two-way monitoring solution (GPS & Temperature monitoring) for specialty truck applications. Serving all points in 11 west coast and southwest states. Specializing in LTL, trans-inter modal service to Northern and Southern California and all points in Florida. 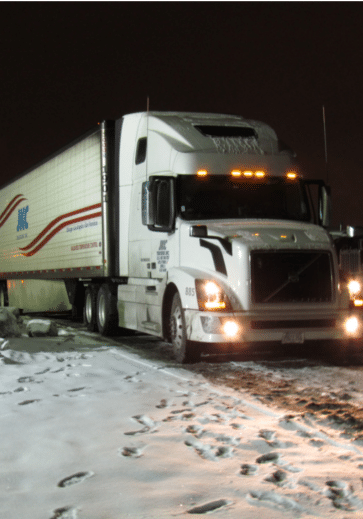 With over thirty years of experience, JKC specializes in climate controlled and dry freight loads as Chicago's largest specialty contract carrier. JKC has dedicated less than truckload (LTL) and intermodal service to California, Florida and major cities west of the Mississippi River. A fleet of 330 53FT & 48FT trailers and 250 tractors round out the JKC fleet which are company owned and driven by company drivers. 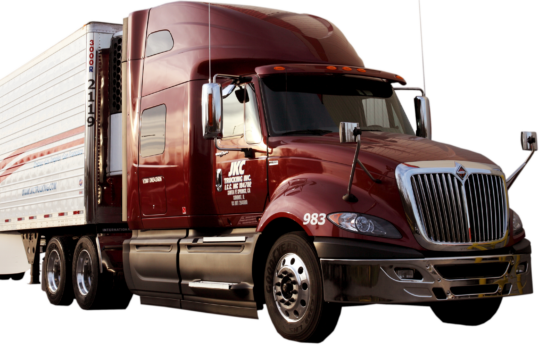 JKC Trucking Inc. welcomes you to an experience in transportation that cannot be compared!